As always we would love for you to join the crew and play along. While you are there please share some loves and comments with the rest of the crew! Great colouring and fussy cutting, awesome card!!! ...something 'bout a tree in the back of a truck! Very cool background as well! Donna, love this truck with it's fabulous cargo, driving home to get all decked up!!! 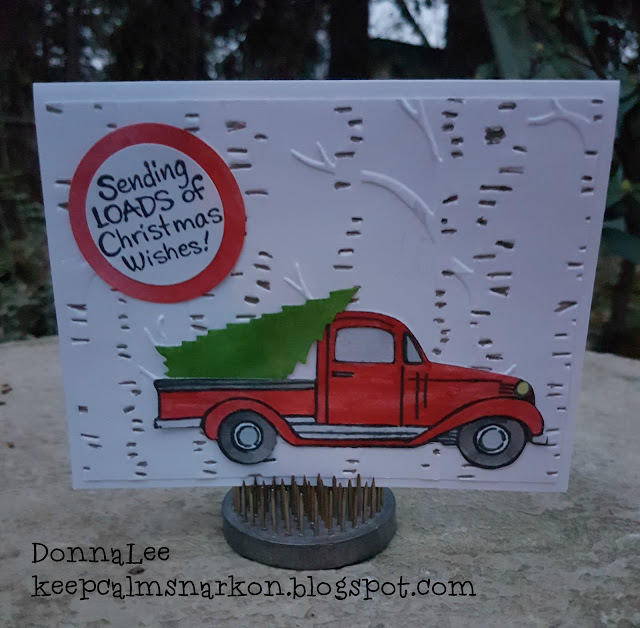 Beautiful backdrop of Birch Trees and your fussy cutting is indeed fabulous. lovely card, I love the backdrop.